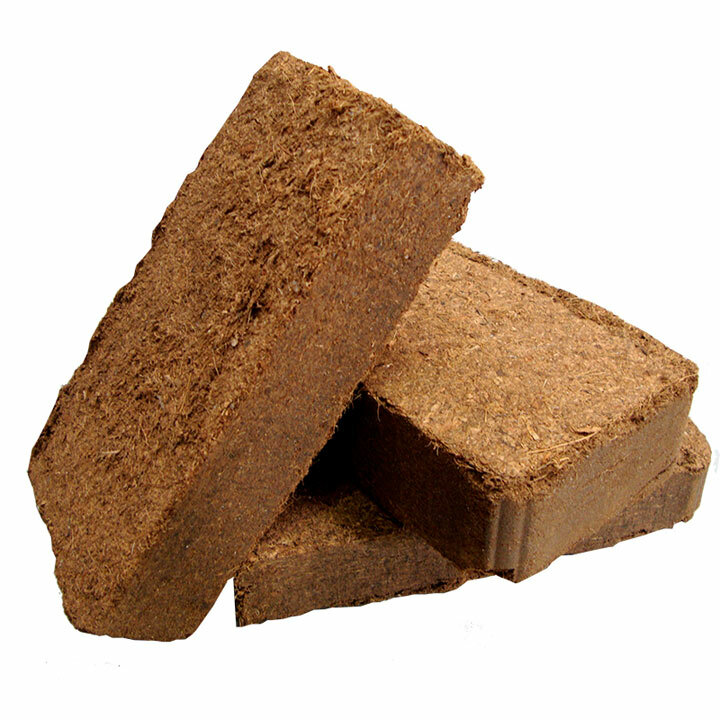 Compressed coir fibre which expands to make a compost base when soaked in water. One brick makes 8 litres of compost which is enough for 2 seed trays. Use neat for sowing. Mix with perlite for cuttings.